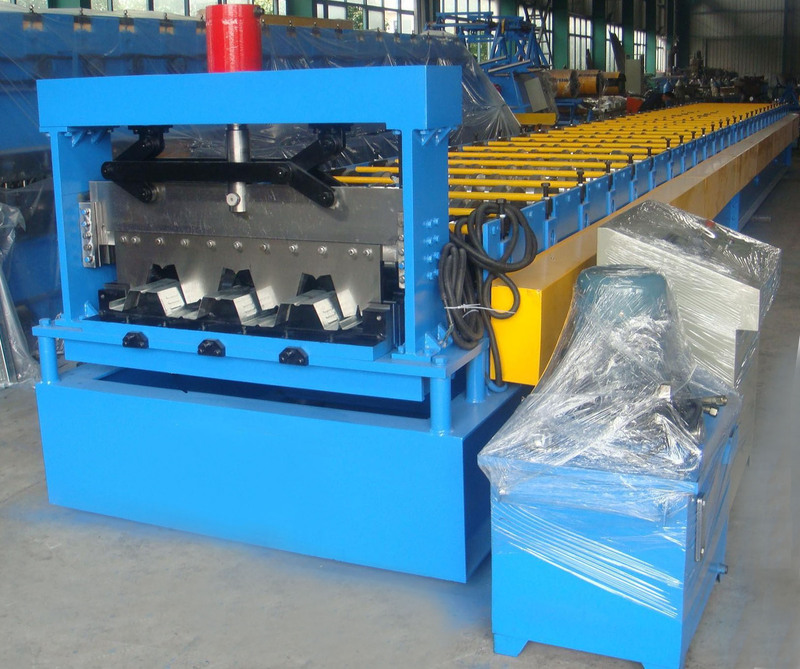 The floor deck roll forming machine is used to produce steel floor deck, which is widely used in steel buildings, large factories, and warehouses, etc. Owing to its thickness (up to 1.5mm), the steel floor deck can support heavy load. This machine usually has more than 30 roll stations, double chain transmission, PLC control.